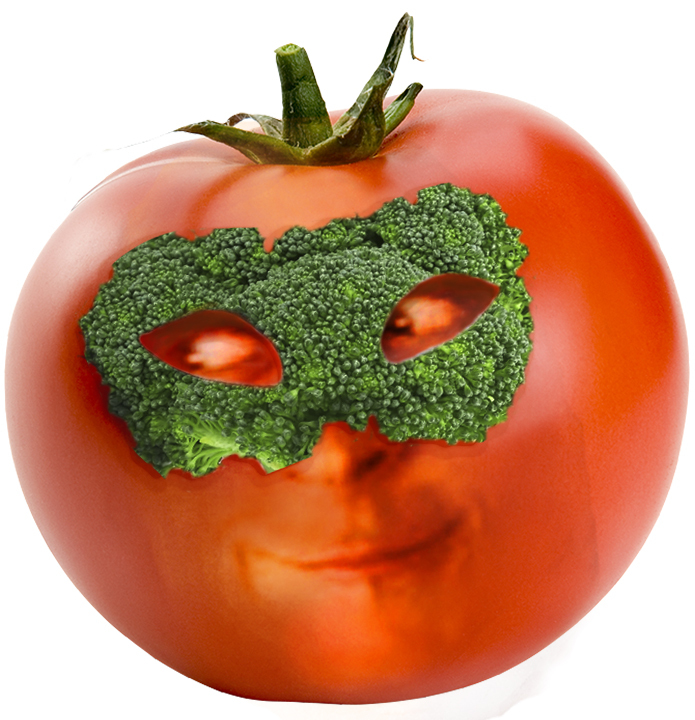 Tomato; the fruit masquerading as a vegetable. Fun Fact :Both Tennessee and Ohio decreed the tomato as their state fruit; while Arkansas chose to play both sides of the fence and , declared the tomato to be both the state’s official fruit and official vegetable. 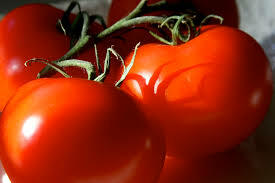 Tomatoes are ultra low-calorie coming in at a scant 18 calories per 100 g, and have no cholesterol . Yet, their nutrition profile is impressive. Along with being an excellent source of antioxidants, tomatoes are high in vitamins, and minerals and 1 Cup of raw tomato provides 9% DV dietary fiber. Scientific studies have found the antioxidants in tomatoes to be protective against cancers, including colon, prostate, breast, endometrial, lung, and pancreatic tumors. Notable nutrients in tomatoes include Lycopene , Zea-xanthin, Vitamin A, and ß-carotenes, xanthins and lutein. Vitamin C, Potassium, as well as B vitamins, and essential minerals. The antioxidants Carotenoids, along with Lycopene help protect us from harmful oxygen-free radicals. Lycopene has been shown to protect the skin from ultra-violet (UV) rays and thus offers some defense against skin cancer. And emerging research is showing strong promise in lycopene’s roll in bone health. Organic Varieties contain 3 times as much lycopene as their non-organic counterparts And while tomatoes can be enjoyed cooked or raw , Tomatoes come out way ahead for providing higher available amounts of cancer fighting Lycopene and Antioxidants when cooked . 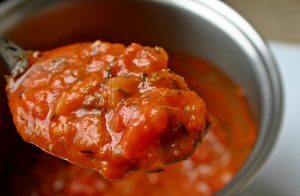 In fact a researcher at Cornell University found Lycopene levels rose 35% after cooking tomatoes for 30 min at 200* Fahrenheit. Tomatoes contain an abundance of Zea-xanthin . Zea-xanthin helps filter harmful uv rays, helping to protect the eyes from Age Related Macular Degeneration Since both of my maternal grandparents as well as My father had Macular Degeneration tomatoes are near and dear to my future eyesight. Tomatoes are high in vitamin A, and flavonoid anti-oxidants such as a and ß-carotenes, xanthins and lutein. Altogether, these pigment compounds are found to have antioxidant properties and take part in night-vision, maintenance of healthy mucosa and skin, and bones. And eating a diet rich in natural vegetables and fruits rich in flavonoids is known to help protect from cancers of the lungs and mouth. Rich in Potassium, 100g Fresh Tomatoes contains 237 mg potassium. This mineral is an important component of cell and body fluids that helps controlling heart rate and blood pressure caused by excess sodium. As if that is not enough, Tomatoes also contain vital B-complex vitamins such as folates, thiamin, niacin, riboflavin as well some essential minerals like iron, calcium, manganese and other trace elements. Any way you slice it Tomatoes are a fantastic addition to your health arsenal*. 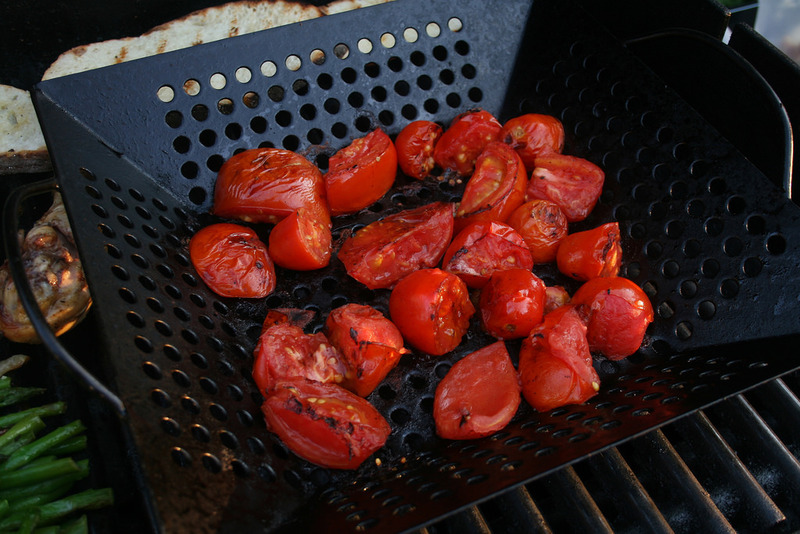 What is your favorite way to enjoy tomatoes?